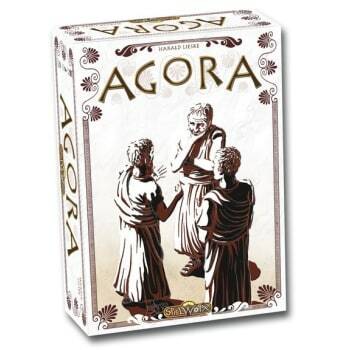 Agora leads the players into the world of a Greek city during the ancient times. 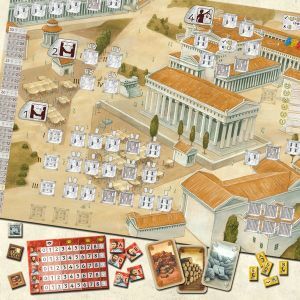 The agora was the central feast, assembly and marketplace of a city-state. Each player represents a group of citizens who tried to obtain the highest possible reputation in town. On the one hand operate the citizens trading to donate raw materials for the construction of the monument to their heroes can. On the other hand, they hone in the Stoa (a pump room at the Agora) on their public speaking skills, because who can talk, have a clear advantage! So continues the award of the last trading goods and as a prosecutor and judge in the court one by whose rhetorical skills are best.